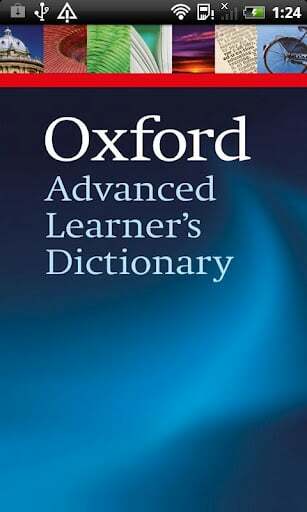 Oxford University Press -- the folks behind that big book full of words and defintions -- have just put out an android version of the Oxford Advanced Learner's Dictionary, 8th edition. It's geared toward those who are learing Englishi -- and let's face it, a goodly number of 'mericans might be able to take advantage of it, too. It's got full-sentence pronunciations, more than 1,300 illustrations to explain words -- and more than 184,000 individual words, phrases and meanings. The full presser and download links are after the break. Oxford/Freiburg – March 9, 2012 – Paragon Software Group, a leading multi-platform software developer for mobile devices and desktop computers, and Oxford University Press, the publisher of the world’s most trusted dictionaries and learning materials, have united to bring the Oxford Advanced Learner’s Dictionary, 8th edition, the world’s best-selling print dictionary for English learners and their teachers, to Android mobile devices and tablets. Loaded with powerful learning features, the app offers full-sentence pronunciations, and over 1,300 colourful group and individual illustrations to explain words and expand vocabulary. The customizable My View allows users to decide exactly which information they want to see, and to find it fast and easily. 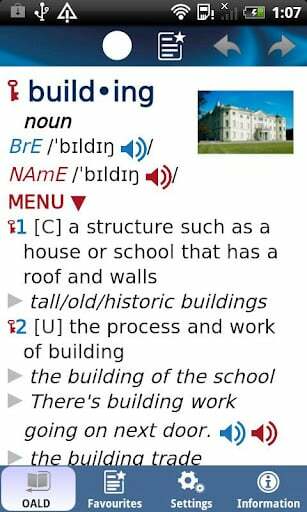 With lifetime sales of over 36 million copies, the Oxford Advanced Learner’s Dictionary is the most comprehensive dictionary available to those studying English as a second language, and the app continues this tradition with the learner-focused features for which Oxford is known. The Oxford 3000™: The 3,000 most important words for an English learner to know have been carefully selected by a group of language experts and marked with a key to show that they are the words that should receive priority in vocabulary study. 184,500 words, phrases and meanings explained clearly. 116,000 spoken example sentences – in both British English and American English accents and recorded by native speakers. 1,300 individual and group images. Integrated thesaurus provides thousands of synonyms and lists of collocations (words that go together) to build vocabulary. Use My View to choose how much information appears on your screen – hide IPA, example sentences, pictures, synonyms, etc. – tap to show the full entry again. Define your customized view in Settings. Change the app appearance: customizable background colour, font size, search results highlighting etc. Multitasking features for uninterrupted dictionary use: run the dictionary in the background so you can translate from web pages, emails and applications, or compose email messages in English. ‘Did you mean…?’ function and wildcard search allow you to find a word even if you don’t know the spelling. Full dictionary search allows users to find the word in idioms and phrasal verbs. Find additional information about many words – including verb forms, culture, example bank, synonyms, collocations, etc. – using the menu. No on-going Internet connection required (for headword audio only): simply download the dictionary once and use it on your device without any additional wi-fi expense or availability issues. (Full sound databases can be downloaded from the Settings screen, which require an Internet connection). Tap on any unknown word in an entry to look it up immediately. Search history can be viewed or deleted. Create your own list of favourite words.